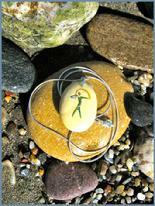 A gift of an Indalo can say "I love you"
Dublin in Ireland has long been accociated with love and romance. Irish poets and authors such as Yeats and Shaw, drew upon Dublin's romanticism to write some of their best lines. 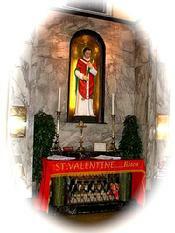 And it is in the Carmelite Church on Whitefriar Street in Dublin that you will find the resting place of Saint Valentine, the patron saint of love - and, of course, of St Valentine's Day. Do you know someone who could benefit from some special wishes on Valentine's Day? 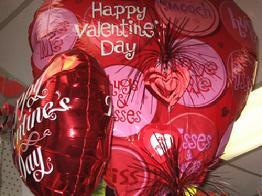 Send special wishes to a loved-one on Valentines Day . . Make someone feel special, more loved and appreciated. 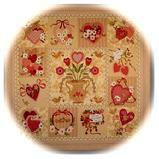 See SHOP for range of VALENTINE'S DAY gifts. But the celebration of the love and romance depicted or represented by St Valentine is celebrated in many parts of the world: In China, for example, Valentine's Day is on the seventh day of the seventh lunar month of the Chinese calendar. 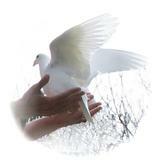 This is the day that the 7th daughter of the Emperor of Heaven was separated from her orphaned lover. Legend says that this daughter was forced to move to a star named Vega and so her lover moved to Altair, a nearby star. They are only allowed to meet once a year on the 7th day of 7th lunar month. So, on Chinese Valentine's Day, lovers go to the temple of Match-Maker and pray for their love and happiness and hope that it will result in marriage.